The benefits of a low student to teacher ratio are well-documented. Among educators, the most influential study of the benefits of a decreased student to teacher ratio is the Student/Teacher Achievement Ratio (STAR). The study measured consequences for students who were randomly assigned to a small class (average of 15 students) versus a regular class (average of 22 students). The results were unimpeachable. The reduction in class size by 32% increased student achievement by an amount equivalent to three additional months of schooling – an impressive gain which was still measurable in a follow-up study four years later. For some students in Delaware, Maryland, New Jersey, and Pennsylvania, there is an even better solution – a 1-on-1 classroom! Your child can have that 1-on-1 teacher interaction every single day at Delaware’s only Department of Education-approved 1-on-1 Private School. 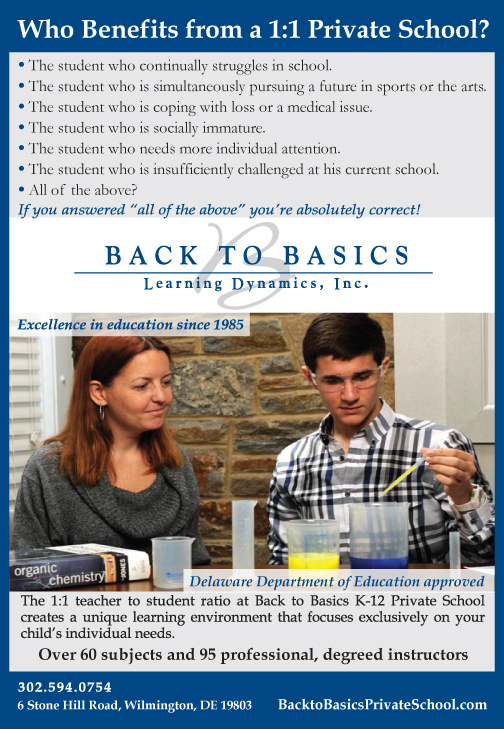 The experienced and degreed instructors at Back to Basics K-12 Private School work as a team to customize and tailor an integrated curriculum to meet the unique needs and abilities of your child. The teaching staff is dedicated to the growth and development of your child academically, socially, mentally and emotionally. And the result is improved academic skills, increased self-esteem, interest in school, and unparalleled subject mastery. Back to Basics K-12 Private School offers the four core curriculum areas of English/language arts, math, social studies and science, as well as electives for all grades. These include foreign languages (12 offered), business courses, sociology, study skills, art, music, drama, computer literacy, and over 50 other subjects. My child continually struggles in school. Can a 1-on-1 school help him focus and achieve his potential? If your student is actively pursuing a career in acting, modeling, dance, or sports, congratulations! These hard-working students have a host of additional difficulties when enrolled at a traditional school, the least of which is simply scheduling. A 1-on-1 setting can allow your child to more easily fulfill school requirements while juggling auditions, work, games, practice or travel. School hours can be adjusted to outside obligations, so that no assignments or class time are missed. And, because Back to Basics K-12 Private School is a Delaware Department of Education-approved school, seniors graduate with a high school diploma. Every student deserves an environment conducive to his/her individual learning style. 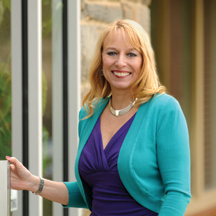 The Back to Basics team of experienced instructors joins forces to create the unique environment where your child can learn — and feel good about school. The results are transformative! After one to three years, most Back to Basics K-12 Private School students confidently return to a traditional school setting or graduate. Your child may benefit from an innovative 1-on-1 approach to learning. Since students can move at their own pace and teachers are not focused on a range of skill levels found in a traditional classroom, the sky’s the limit! In addition to the core curriculum, your child may want to explore a broader range of electives or honors courses not offered at the school he or she is currently attending – from Mandarin Chinese, to Anatomy, to Art History. If you are interested in applying for admission, a preliminary meeting at the Back to Basics K-12 Private School with the President/Director Beverly Stewart, M.Ed. is the first step. During this meeting you’ll explore your expectations, share information about your child’s current school situation and history, and discuss specific needs. This is also the time to evaluate exactly why your child’s current school setting is not a good fit, and what specific educational goals are most appropriate for your child. You’ll also learn more about Back to Basics K-12 Private School and its unique 1-on-1 approach to learning, motivating, and building self-esteem. Next Story → How Do The COMMON CORE STATE STANDARDS Affect Your Child?